Men’s close association with the land and nature, a strong theme in New Zealand culture, often harks back to a 19th-century past, as much imagined as real. The predominant character is ‘man alone’, the physically strong man of few words, most at ease on his own, or in the company of other men. This hardy man is defined by his distance from women, town life and emotions – his own and those of others. 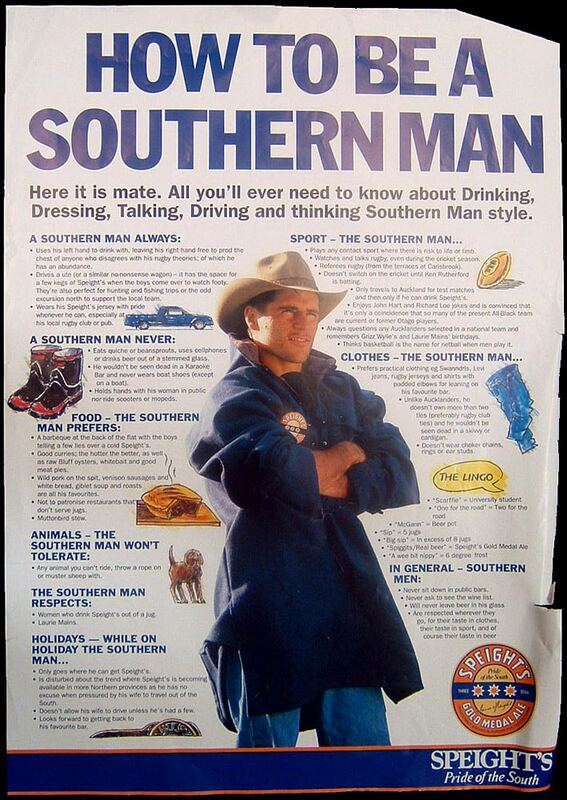 The character of the ‘southern man’, used to advertise beer, was a late-20th-century version of the man alone.